According to Asus executives, sales of the Nexus 7 are approaching 1 million units per month. Speaking during their quarterly earnings call, their CFO mentioned that during the first couple of months it was 500K units, then 600K, then 700K, with the most recent month closing in on seven figures. Up until now, we have only been able to guess what sales have been like, because Google refuses to provide sales figures. Some predicted that the number was sitting around the 800K-1M mark, but those predictions seem to be way off. This news from Asus paints a much brighter picture than I think even I was willing to predict. 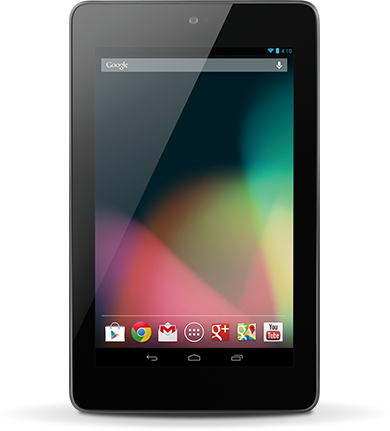 If you go back to launch and tally up those numbers, you are looking at close to 3 million Nexus 7 units sold. While that’s not on iPad level, it’s impressive for an Android tablet. Now, with 32GB versions with 3G coming, a price drop of the 16GB model, and the holiday shopping season around the corner, those number should only continue to climb. Are you surprised by these sales figures? I know I am.